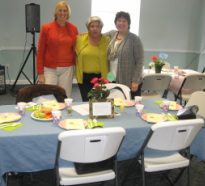 SPARC team member Alison Galbo, right, in front of the Ballon Pop table with SPARC supporter Rose Koundakjian, center, and friend. 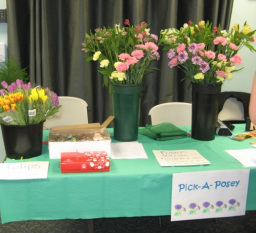 Pick-A-Posy, win the sweets! 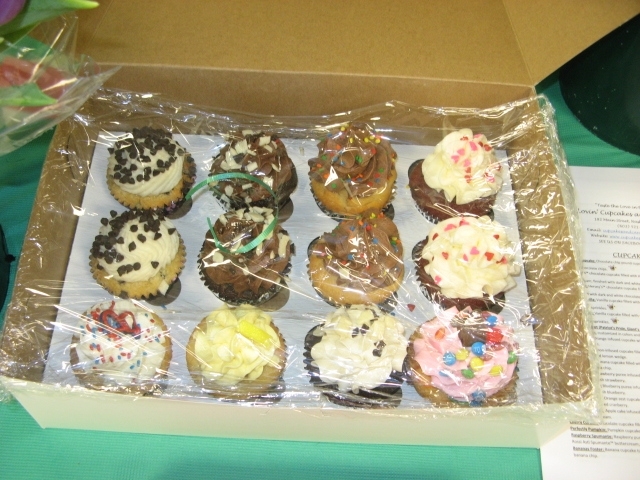 Assorted cupcakes or chocolate covered fruit. Yum. Guests pose at their table, above. 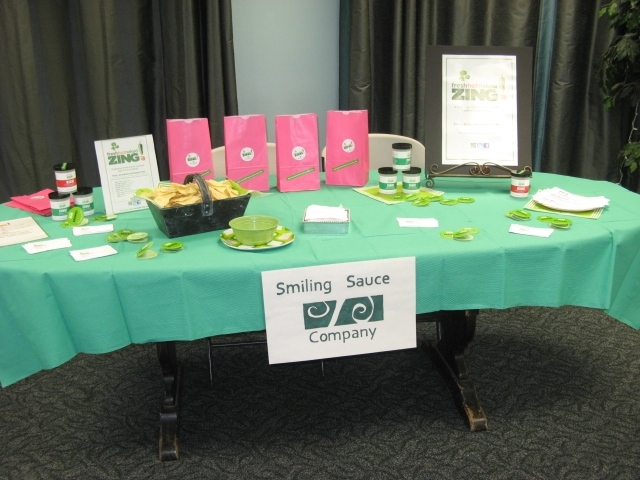 The Smiling Sauce Company table, left, provided by co-owner Diane Lima who created the delicious assortmwent of tea sandwiches. 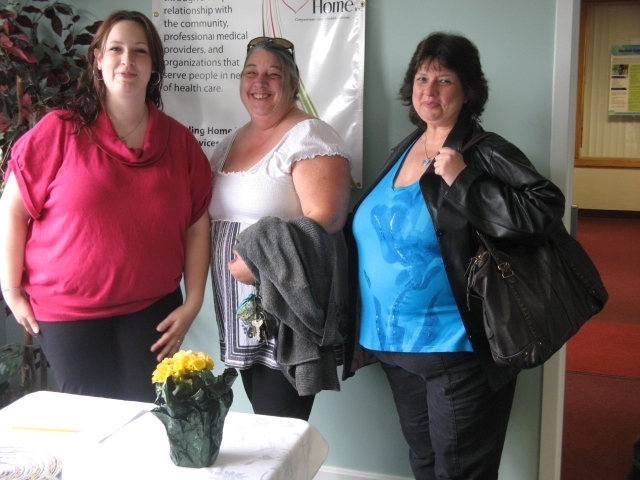 Director of Fundraising Kaylene Johnston, left, with some SPARC supporters. "Problems always have solutions. Have hope." "Grateful for my friends and family." "Financial security is a beautiful thing." "Now I'm taking care of myself." "Triumphs are happy. Losing is miserable." "Always moving. Always loving. Thank God." "The Best Life I live now." "Family means the most to me." "A lot accomplished and am tired." "Somewhere over the rainbow is me." "Struggling for mindfulness despite rushing tides." Five kids, two colleges, one income." "Transform that negative into a positive!" "Thank you for the most wonderful sister." "Out of shadows; seeking the sun." "Don't fence me in. Thank you." "See a need; fill a need." "Laughter got me through it all." "Learning what makes me feel happy." "Still smiling, stretching, learning, thanking, enduring." THANK YOU to these businesses and individuals for supporting SPARC. Bedford, MA, area: Asiana Bistro, Baer Chiropractic, Prince Street Cafe, Chip-In Farm, Koundakjian & Co., New England Nurseries, Organix Spa, Salon Giovanni, Serenity Yoga Studio, Stop and Shop, Smiling Sauce Nashua, NH, area: Annies's Book Stop, Costco, Crosby's Bakery, Curves, Denny's Restaurant, Edible Arrangements, Healthy Pets, Ikebana, Jordan's Furniture, Lovin' Cupcakes, Meena's Kitchen, Reliable Gutters, Shaw's, Stella Blu, Supercuts, Yoga Redefined. And speccial thanks to: Dianne Barker, Florence Carroll, Maureen Carroll, Lisa DiSanzo, Lella Donahue, Rose Koundakjian, Thomas Koundakjian, Sheila McCormack, Joan Peterson, MJ Rulnick, Colleen Shertz, Mary Jane St. Amour, Tod Wyn, Barbara Glover, Katrina Reid and Terry and Dan Stevens.